Brazilian thrower Luciano Dos Santos Pereira has been banned from the Rio 2016 Paralympics for doping. The International Paralympic Committee (IPC) has also suspended the visually impaired 40-year-old until June 2020. He tested positive for anabolic steroids stanozolol and oxandrolone after competing in the discus at the IPC Athletics Grand Prix in Rio in May. 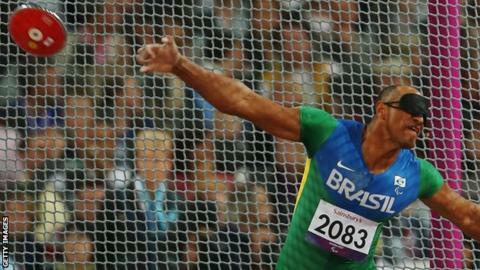 Dos Santos Pereira competed at the London 2012 Paralympics in the discus, shot put and triple jump.